This week’s Technology Tuesday provides an update on Imagine!’s Remote Supports Project. Thanks to a generous donation, Imagine! has created a technology demonstration project to improve and support the safety needs for adults with disabilities. The project is currently supporting five individuals throughout Boulder County. The project has developed specific tool to assess individual support needs and identify the technologies that will best help meet those needs. 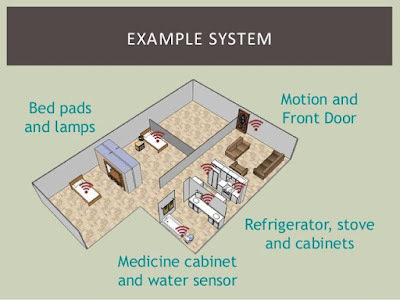 The technology that has been purchased is individualized to the identified needs and includes door and window sensors, heat and stove detectors, medication reminders, visual doorbells, prompting systems for daily tasks, which are all integrated into a notification system that provides alerts to caregivers or 911. This technology allows people to be monitored remotely and notifies loved ones or caregivers when people are home and what area of the apartment or living space they are accessing. All systems allow the individuals to remain independent while still promoting their safety by remotely locking doors, monitoring when someone comes to their doors and providing alerts when a door or window is opened at an unusual time. In one case the system was able to alert us that one of the individuals was wandering in the middle of the night and it notified a nearby caregiver to help assist and address the support needs. This project is helping to fill a huge gap that currently exists in services for adults with intellectual disabilities who are mostly independent but need some assistance to remain safe and self-reliant. As part of this project Imagine! will be sharing the results of this three year project with state and local leaders to encourage the adoption of technology into the service system.